They Should Give This Crazy Mofo The Death Penalty. For the latest on the Waffle House shooting, read Monday’s live updates. Nine months before the police said he opened fire with an AR-15 rifle on a Waffle House in Nashville, killing four people, Travis Reinking wanted to set up a meeting with the president of the United States. That arrest was only the latest of Mr. Reinking’s several run-ins with the authorities. Police reports show family members expressed concern for his welfare after an extended time exhibiting delusional behavior, including his belief that the entertainer Taylor Swift was stalking him and hacking his phone and Netflix account. After his arrest for the White House episode, Mr. Reinking, 29, who lived in Morton, Ill., was forced to surrender three rifles and a handgun to officials in August. Somehow he got them back — the authorities in Illinois said on Sunday that the circumstances were unclear — and in the fall, he moved to Nashville. On Sunday, he pulled up to a Waffle House in the Antioch neighborhood of Nashville around 3:19 a.m., sat in his pickup truck for about four minutes and then opened fire, the police said. Naked except for a green jacket, he then fled, and he remained at large as of Sunday night. The police said murder warrants were being drafted. Don Aaron, a spokesman for the Metropolitan Nashville Police Department, said at a news conference on Sunday that after leaving the restaurant, Mr. Reinking shed his jacket. In it were two magazines of AR-15 ammunition. The police credited a customer with averting further bloodshed. The customer, James Shaw Jr., 29, seized the moment when he saw Mr. Reinking apparently trying to reload his rifle. Mr. Shaw burst out from behind a swinging door where he had been hiding, wrested the weapon away and threw it over a countertop. “I kind of made up my mind, because there was no way to lock that door, that if it was going to come down to it, he was going to have to work to kill me,” Mr. Shaw said at the news conference. I know one of the helicopters is definitely @MNPDNashville. Not sure if the other two are TV or who is operating those. Mr. Reinking fled on foot, and apparently returned to his apartment nearby to put on pants. 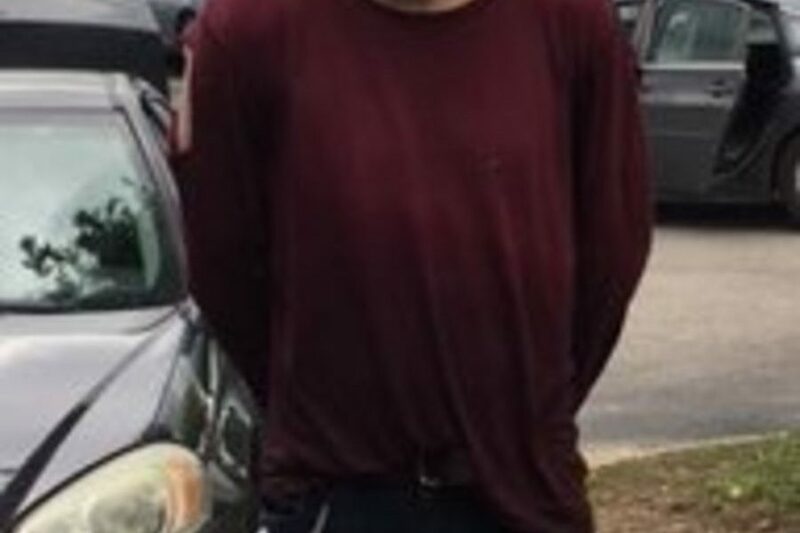 He was last seen shirtless and shoeless, Police Chief Steve Anderson said. Investigators had yet to determine a motive for the killings. Officials could not fully explain how Mr. Reinking regained possession of his weapons after they were taken away following his episode near the White House last year, which prompted federal authorities to work with county officials in Illinois to investigate Mr. Reinking. The Tazewell County Sheriff’s Office in Illinois gave the weapons he owned — including the AR-15 he took to the Waffle House on Sunday — to his father. 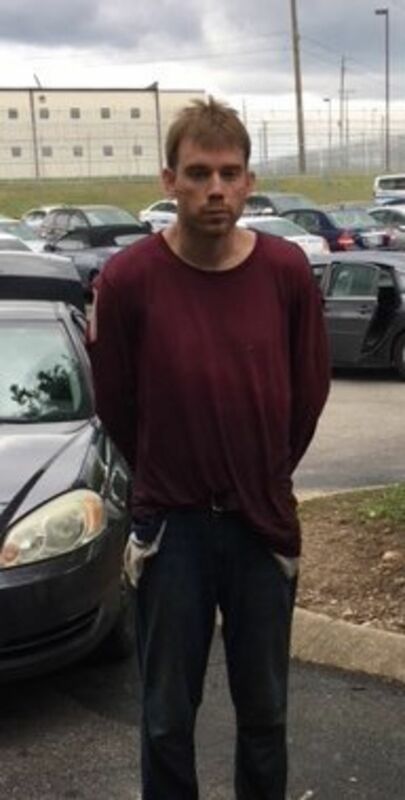 Sheriff Robert M. Huston of Tazewell County said in a news conference on Sunday that while Mr. Reinking “voluntarily surrendered” the weapons on Aug. 24, his father had a firearm owner’s identification card and a legal right to take the weapons. The police in Nashville indicated that Mr. Reinking’s father returned the weapons to his son. The father, Jeffrey Reinking, could not be reached for comment on Sunday. Even before he went to Washington, Mr. Reinking had a history of encounters with law enforcement in Illinois. According to one sheriff’s report from May 27, 2016, he “was delusional and believed the famous entertainer, Taylor Swift, was harassing him via stalking and hacking his phone.” It added that he said he found Ms. Swift at a Dairy Queen in Morton and chased her before she disappeared. In another episode on June 16, 2017, in Tremont, Ill., the police responded to a complaint that Mr. Reinking, wearing a woman’s pink housecoat, jumped into a pool and began arguing with lifeguards to get them to fight with him. No one at the pool wanted to press charges, the report said. Mr. Aaron said Mr. Reinking was believed to have moved to Nashville in the fall and worked in the crane and construction industries. Mr. Reinking was fired from a job about three weeks ago and found a new job, Mr. Aaron said, but had not been seen at work since Monday. The Nashville police identified the four people who died as one Waffle House employee, Taurean C. Sanderlin, 29, of Goodlettsville; and three customers: Joe R. Perez, 20, of Nashville; DeEbony Groves, 21, of Gallatin; and Akilah Dasilva, 23, of Antioch. Jennifer Wetzel, a spokeswoman for Vanderbilt University Medical Center, said one wounded victim was in critical condition and another was in critical but stable condition. Two other victims were treated for minor injuries and discharged from TriStar Southern Hills Medical Center in Nashville, said Katie Radel, a spokeswoman there. Waffle House restaurants are open 24 hours and speckled throughout the South, especially along the interstates. The gunfire on Sunday was the latest burst of violence at one of the chain’s outposts. In January, an altercation at a Waffle House in Missouri turned fatal when a security guard opened fire. And a deadly shooting outside a location in Florida that same month recently led to a lawsuit. Still, Sunday’s attack was especially jarring in its method and magnitude. 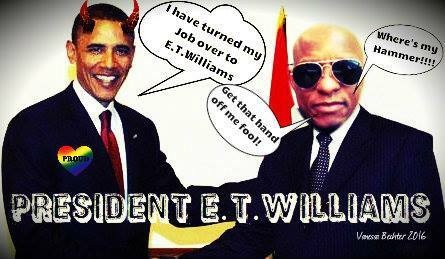 But Mr. Shaw demurred. “I’m not a hero,” he said, adding that he acted out of self-preservation. I’m sure it is okay because Allah told him to do it. 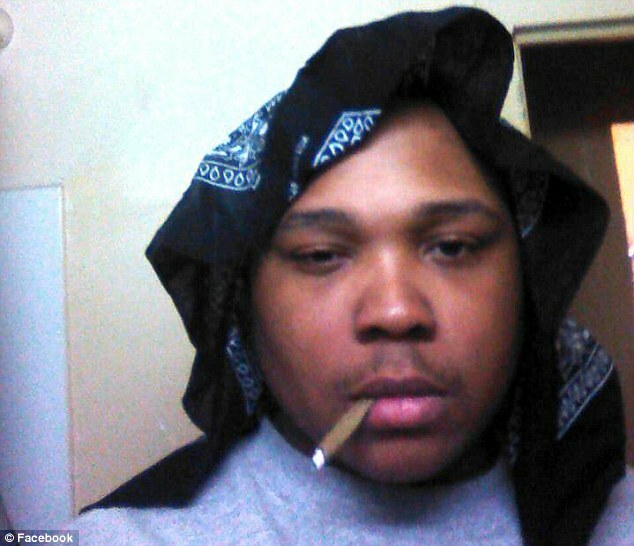 CLEVELAND, Ohio — A man was sentenced Thursday to 25 years in prison after admitting to strangling his ex-wife in 2016, then stuffing her body into a duffel bag and burying her remains as their 3-year-old son watched. Fahad Saeed, 28, showed little remorse before Cuyahoga County Common Pleas Court Judge Pamela Barker imposed the sentence. “Things happen,” Saeed said through an Arabic interpreter. 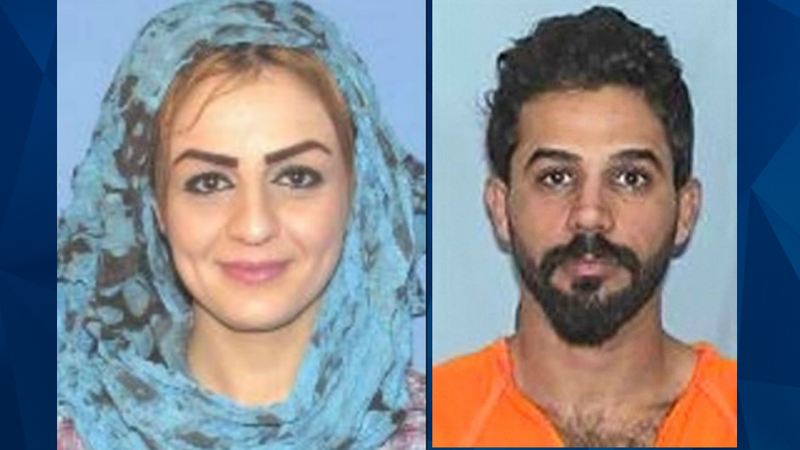 Cuyahoga County prosecutors and Saeed’s lawyers struck a deal on Thursday that would see him plead guilty to involuntary manslaughter, kidnapping and burglary charges, and serve the maximum time in prison on each charge for a total of 25 years. Prosecutors agreed not pursue an aggravated murder charge that would put Saeed behind bars for life. The court hearing offered details into Al-Dhannoon’s October 2016 disappearance from her apartment on Lakewood’s Gold Coast, and the months-long search that ended when investigators found her body in May 2017. Prosecutors noted for the first time that Saeed took the couple’s toddler son with him to bury the mother’s remains in a patch of thick woods near the apartment where Saeed once lived, across the street from the Memphis Kiddie Park. The toddler told FBI agents in a November 2016 interview that “daddy put mommy in the pickies near the horses,” an apparent reference to the park’s carousel, Assistant Cuyahoga County Prosecutor Blaise Thomas said. Five months would pass before a tipster from the county jail came forward with a detailed map that Saeed drew while serving a sentence on charges dating back to before Al-Dhannoon’s disappearance. Saeed, an Iraqi national in the U.S. on a green-card visa, will be subject to deportation once he is released from prison. Al-Dhannoon and Saeed married in 2011. She filed for the protection order in November 2015 after he became increasingly violent, according to court records. Investigators say Saeed broke into Al-Dhannoon’s apartment in August 2016 and took cellphone video as he commented about the state of the house, Al-Dhannoon’s weight and her mothering capabilities. Two months later, Saeed again went to the home, where he attacked Al-Dhannoon. Surveillance cameras caught him and a friend, Ammar Sami, buying shovels from a Walmart the night of Al-Dhannoon’s disappearance. The next day, he took his son to a Home Depot and bought a small hand digging tool, prosecutor said. Investigators focused on Saeed early and learned that he had been to Al-Dhannoon’s Gold Coast apartment building in the days before she disappeared. Saeed was arrested, charged and eventually sentenced to six months in Cuyahoga County Jail for violating a restraining order that Al-Dhannoon took out against him. I bet he was a democrat supporter. One Douglas County deputy died and four more were wounded along with two civilians Sunday morning at a Highlands Ranch apartment complex. The shooter was also shot and is believed dead, the Sheriff’s Office said in a tweet at 9:32 a.m. 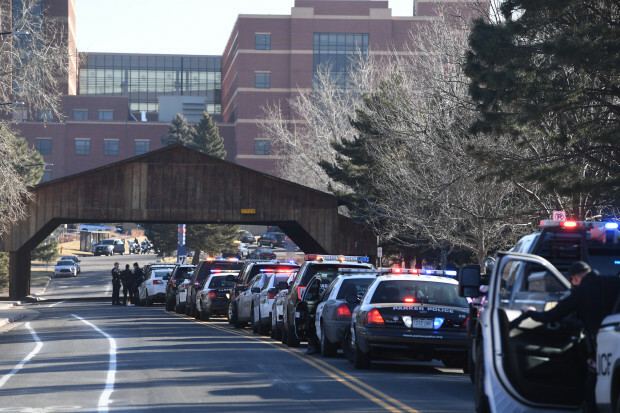 The Sheriff’s Office announced at 10:02 a.m. that the slain officer would soon be moved from Littleton Adventist Hospital in a procession. “Expect heavy law enforcement presence and traffic congestion on Broadway, C470 and SB I-25,” the Sheriffs Office tweeted. Deputies were responding to a domestic disturbance call when shots were fired from the home in the 3400 block of County Line Road near Colorado Boulevard before 6 a.m., Lauren Lekander, DCSO spokeswoman said. Denver 7 reported hearing shots fired as a reporter later arrived at the scene. “We have SWAT out there setting up and preparing to go in right now,” Lekander said at about 7:15 a.m. Early during the incident, the Sheriff’s Office said only that a number of officers were shot. “We have multiple officers down,” said Deputy Jason Blanchard of the incident at Copper Canyon Apartments in Highlands Ranch. Residents were told to stay inside and avoid windows and exterior walls. Steven Silknitter lives in the complex. He was working elsewhere when he heard about the shooting. He called home waking up his fiance. She woke to hear “a barrage” of gunfire in the dark, said Silknitter. Three of the injured were taken to Skyridge Medical Center in Lone Tree with non-critical injuries, said Linda Watson, a hospital spokeswoman. She couldn’t say if the injured were officers. Another four have been taken to Littleton Adventist Hospital, said Alyssa Parker, a hospital spokeswoman. Parker couldn’t say how serious their injuries are. Due to the size of the investigation an emergency shelter was set up at East Ridge Recreation Center, located at 9568 University Blvd. in Highlands Ranch. 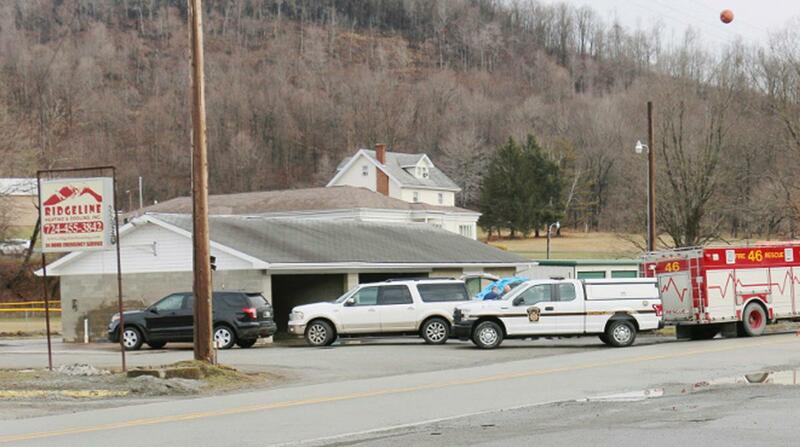 Anyone who has been displaced can go there, the Sheriff’s Department said. Multiple law enforcement vehicles, Douglas County Sheriff, South Metro and Littleton fire rescue vehicles came and went from the scene. “There is still a lot of activity out here,” Larry Ryckman, Denver Post editor at the scene, said at 9:30 a.m.
Video broadcast by Denver 7 showed an Arapahoe County Sheriff Bomb Squad truck at the scene. In a Code Red the Sheriff’s office told residents to shelter in place, avoid windows and stay away from exterior walls. An investigation is in progress and most of County Line Road is closed down from Colorado Boulevard to University Boulevard. C-470 is closed from Quebec Street to University Boulevard. Parker Police Department, Lone Tree Police, Castle Rock Police and Colorado State Patrol are involved in the incident. “She was pretty scared. She kept saying how loud it was.” Silknitter said. Multiple law enforcement vehicles, Douglas County Sheriff, South Metro and Littleton fire rescue vehicles coming and going from the scene. Due to the size and cope of this investigation an emergency shelter has been set up @ East Ridge Rec Center, located at 9568 University Blvd. in Highlands Ranch. If anyone has been displaced from their homes due to this event please feel free to head there. Due to this incident, the following agencies are on accident alert. Douglas County, Parker Police Department, Lone Tree Police Department, Castle Rock Police Department and Colorado State Patrol. A Code Red was sent out regarding this incident. Any citizens in the affected area are instructed to shelter in place, avoid windows and stay away from exterior walls. Road closures due to the officer down call. C-470 from Quebec to University Blvd. County Line Rd from Colorado Blvd. to University Blvd. A gruesome photo emerged on Saturday showing the Bronx man accused of killing and dismembering his mother’s body, smiling and displaying the head of the dead woman. 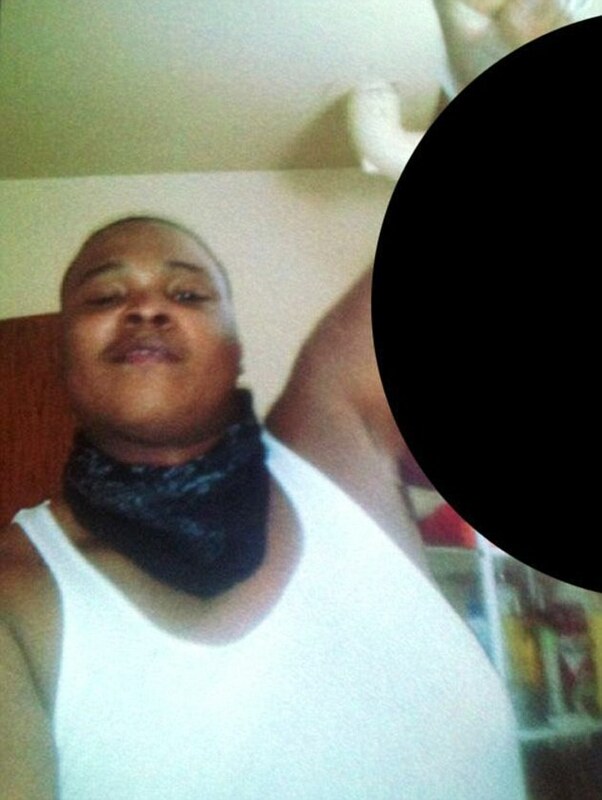 Bahsid McLean, 23, posed in front of the bathroom mirror holding the bloody head of his slain mother, Tanya Byrd, like a trophy and used his phone to snap the grisly photo as a keepsake, in the image leaked to the New York Post. 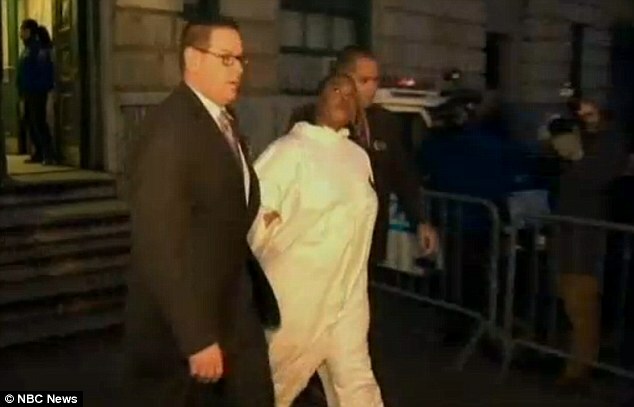 McLean has been charged with killing Byrd, 45, after an argument in which the mother told her son to grow up and move out of her apartment in the Morrisania neighborhood in the South Bronx. 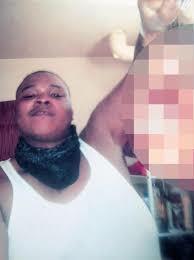 A law enforcement official said the shocking photo is just one of several images found on McLean’s cell phone. ‘I lost sleep over it. Just sheer inhumanity. It’s horrible what he did to her,’ the source told the Post. 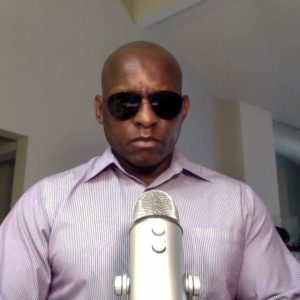 Police say that after McLean stabbed the woman to death, likely on late Saturday or on Monday, he cut up her body with a power saw and scattered the body parts around his Bronx neighborhood. 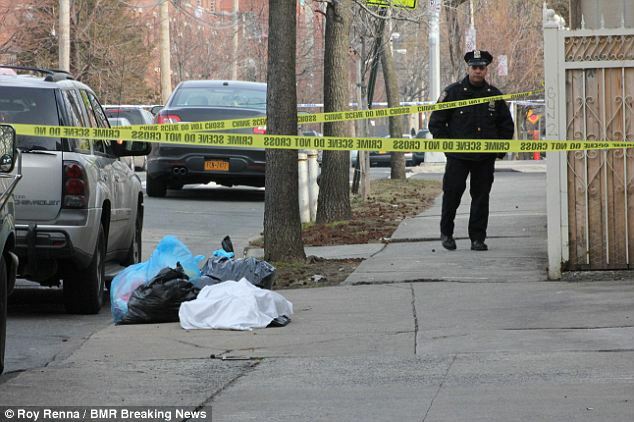 Then he and a pal allegedly stuffed the woman’s body parts into three heavy-duty garbage bags, some of which were zipped inside luggage, and dumped them in at least four different locations in Morrisania, where they were discovered early Tuesday morning by a dog-walker. 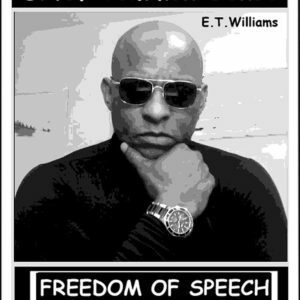 Wearing a black plastic garbage bag to the hearing because he kept urinating on himself, he is being held on suicide watch after the horrific attack earlier this week on his mom. The mentally ill man told the judge that Byrd was dying and that he was trying to help her, though it was unclear what she was supposedly dying of. McLean’s defense attorney Jerry Iannece said his client, who is undergoing a psychological evaluation, was off medication but he didn’t disclose what the 23-year-old had been taking. During the court appearance, McLean made several other outbursts and was ultimately ordered held without bail. Police say McLean, whose Twitter handle is @killtanyabyrd, stabbed his mother to death in the bedroom of the apartment they shared on either Sunday night or Monday morning. It is not clear whether McLean’s seven-year-old brother Nasyr, who has Down’s syndrome, was home. The gruesome pictures, discovered by cops on his cell phone, and an initial confession led to McLean’s murder charge on Wednesday. 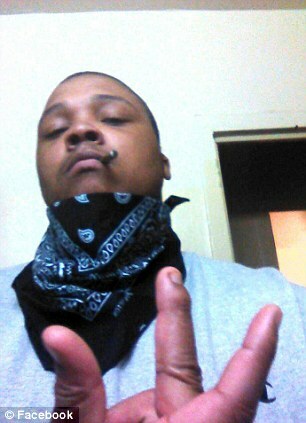 Police say McLean murdered his mother because she ‘wanted him to grow up and move out and be a man,’ The Post reported. His aunt said her nephew harbored resentment towards his mom after he was placed in a foster home while she battled a drug problem. He came back to live with her when he was 18. He was also suspected of abusing his younger brother, whose body began displaying bruises. His friend, William Harris, 26, allegedly helped him get rid of the body. The pair were reportedly caught on surveillance video at a nearby hardware store where they bought a power saw with cash. A blade and a box were found in the apartment McLean shared with his mother while the saw – 2-foot-long Black and Decker jigsaw – was found at Harris’ home, sources said. Even his father said he was a bad egg. 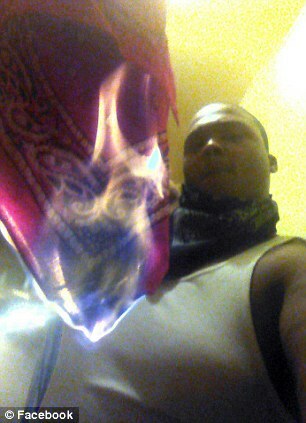 A photograph on his Facebook page shows him burning a scarf. McLean confessed to the sickening crime after police found a shower curtain missing at his apartment, which wreaked of bleach. 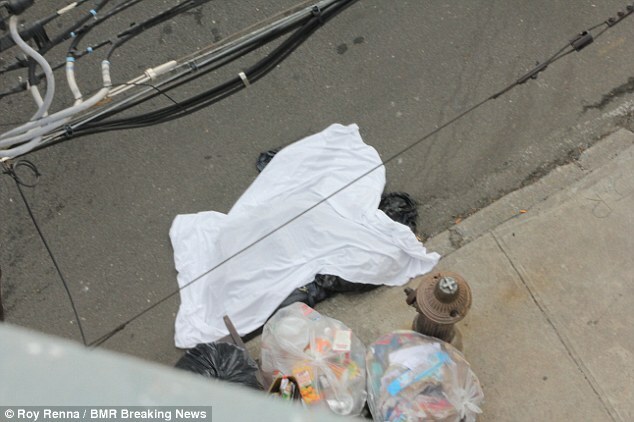 The shower curtain was later found wrapped around his mom’s body parts in one of the bags dumped on the curb for collection. McLean was charged on Thursday with second-degree murder and he and Harris were also booked on charges of hindering prosecution and the unlawful dissection of a human body. When they were questioned they both blames the murder on the other. Harris, who has been arrested 12 times prior to yesterday’s booking, told police McLean confessed to the slaying on the subway and begged for his help. Meanwhile, McLean, who was on probation after attacking two police officers with a knife in 2010, said Harris killed the woman at their apartment. McLean confessed to the crime late on Tuesday after cops found the electric saw and other carving implements. 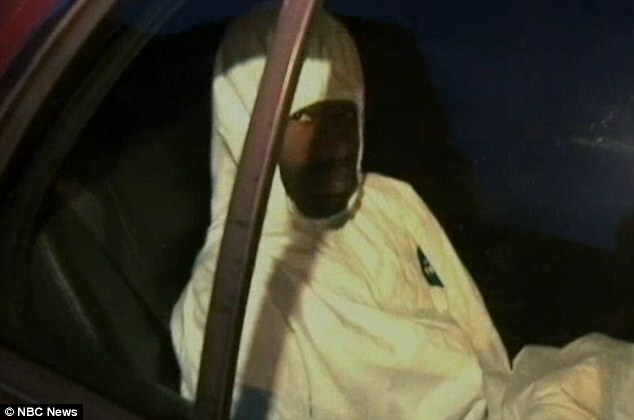 Police were overwhelmed by the stench of bleach when they entered the apartment Bahsid McLean shared with his mother and little brother. He was led out of the house in handcuffs after police recovered the frightening evidence in the apartment. 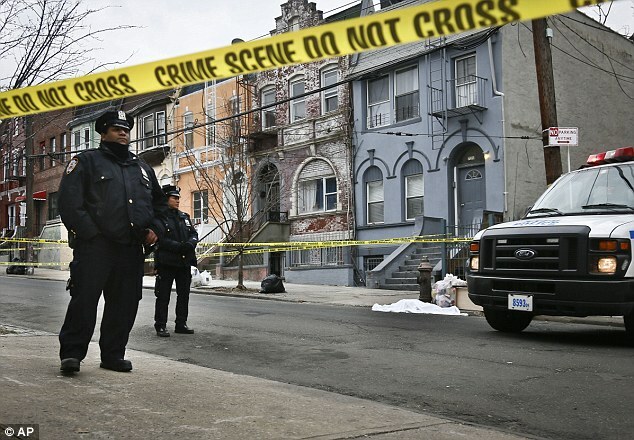 Byrd’s body parts were found strewn around at least four different curbside locations within a half-mile of the pair’s Morrisania home in the early hours of Tuesday morning. The pieces – which include her head, torso, right leg and hands – were found zipped into travel bags or stuffed into plastic garbage bags. McLean, who suffers learning disabilities, admitted to the crime during questioning by NYPD officers, sources told The New York Daily News. 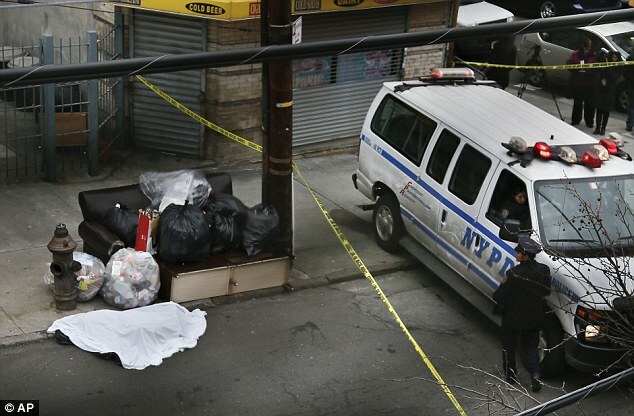 Investigators spent Tuesday scouring through piles of trash in the South Bronx neighborhood after a horrified dog-walker discovered the human remains in a travel bag at around 4:30am and called police. 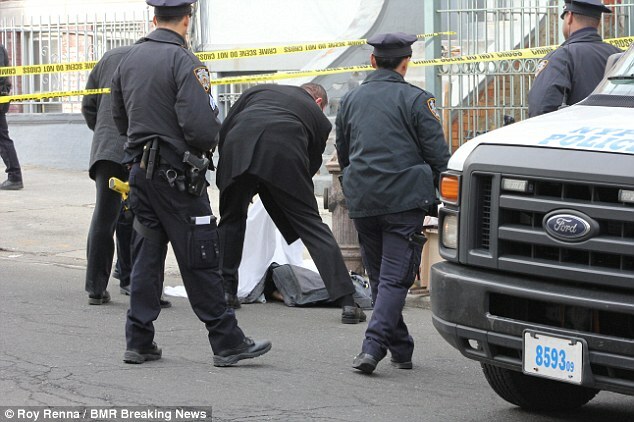 One-by-one, Byrd’s decapitated head, right leg, torso and hands have been unearthed in the area around Eagle Avenue, 158th Street, 156th Street and Cauldwell Avenue. 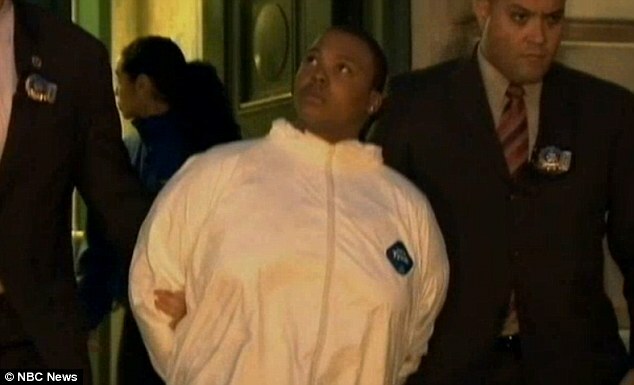 Some of Byrd’s body parts were still wearing the clothes she was in when she was slaughtered, police sources told the Daily News. Byrd’s sister, Cassandra McLean, initially defended her nephew, believing Byrd’s allegedly abusive ex-boyfriend was responsible for her ghastly murder and dismemberment. 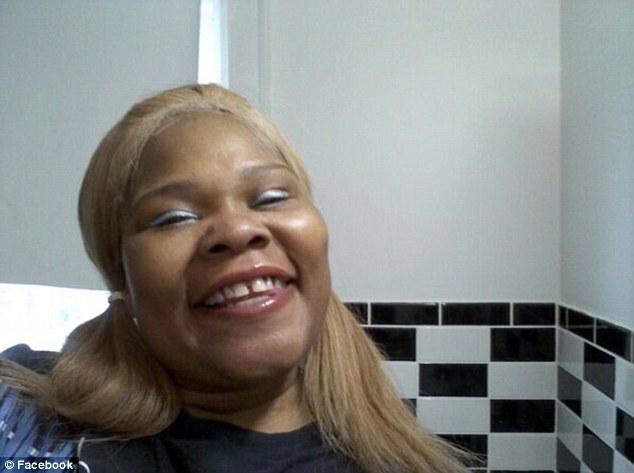 Police confirmed Byrd’s son reported her missing at the Bronx’s 40th precinct station. He found a photograph of her, which they matched to the decapitated head found in one of the bags, when police showed up at his house. This is when they discovered the carving equipment. He reportedly told police he hadn’t been able to contact his mother for at least a day. 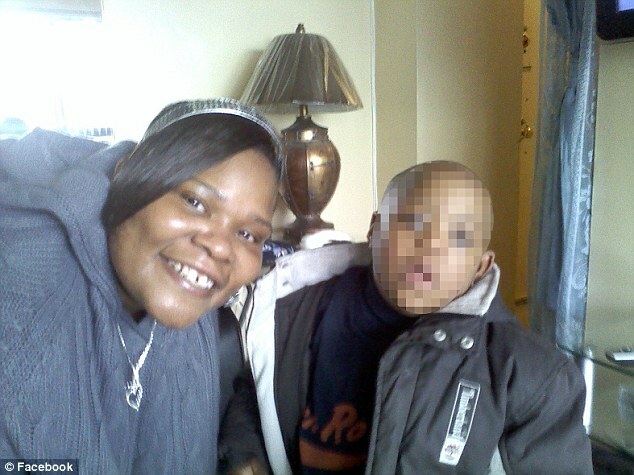 Cassandra McLean said her nephew suffered learning difficulties from an early age. She said Bahsid McLean told her Byrd’s former boyfriend dropped by on Monday and that was the last time he saw her. 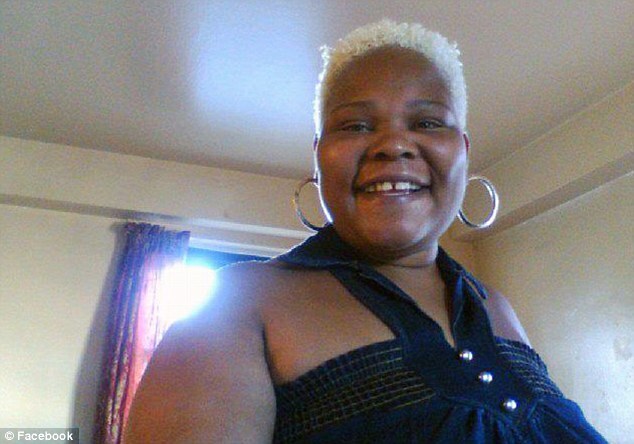 She told DNAInfo that Byrd’s ex-boyfriend was trouble. Neighbor Elizabeth Cruz said the woman would never have left her youngest son willingly, as his Down’s syndrome means he is very reliant on her. Another neighbor who knew the woman told DNAInfo that Byrd was a good to her kids. ‘She’s a good person, she’s a good mom,’ they said. 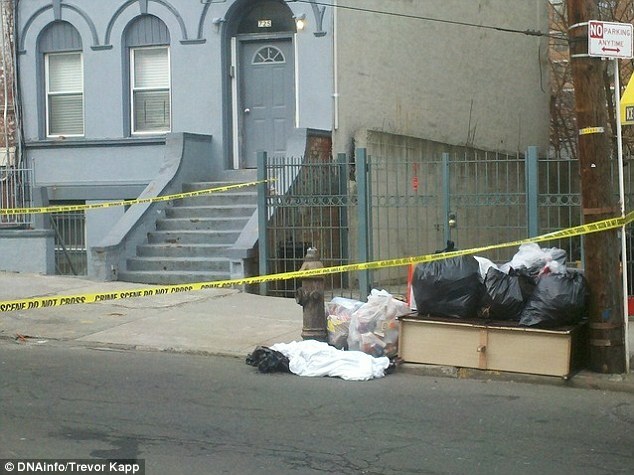 The Daily News reported a witness saying they saw a suspect dump the bags and their gruesome contents on the curb for collection and then flee the scene in a silver SUV. One woman said a female leg was clearly visible, protruding from one of the bags. 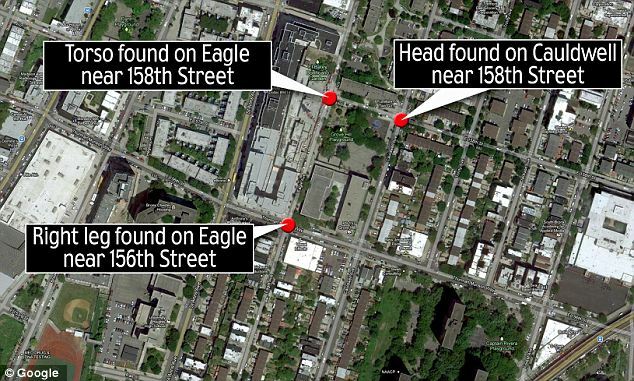 Byrd’s right leg was found on Eagle Avenue near 156th Street, while her torso was discovered on Eagle Ave near 158th Street, witnesses told The Post. The mother’s head was found at Cauldwell Avenue and 158th. Investigators have also found the woman’s hand, though it’s unclear where. ‘I saw the police find it. It was on top of the garbage, the recyclables,’ a 53-year-old witness told The Post of the leg discovery. She said it was in a plastic trash bag that was stuffed inside a small traveler’s bag. ‘You could tell it was real. You could see past the ankle, but there was no blood,’ Bobby, a superintendent for a building overlooking where one of the body parts was found, told DNAInfo. Byrd was taken to the medical examiner to determine the cause of death, which came back with stabbing on Wednesday. The bags were found strewn near El Batey Borincano Garden, part of a quiet residential block that comprises two religious schools and a church.